I was recently the lucky winner of “SALTY APOTHECARY’s” – Detox Bath Salts. 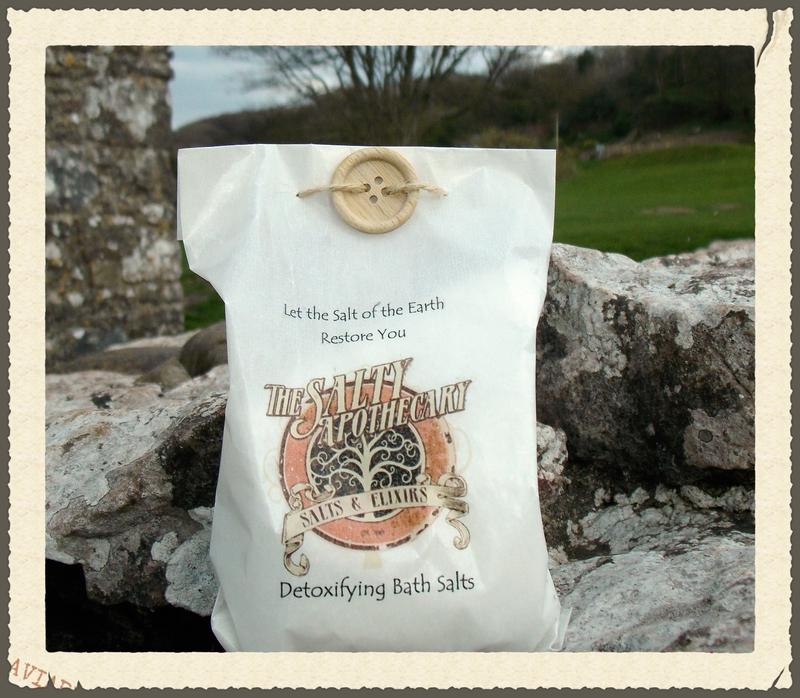 This UK based company specializes in making some of the best, purest, and cleanest bath salt treatments. Ingredients: Magnesium sulphate, Vetiveria zizanoides, Citrus paradisii, Citrus bergamia, Lavandula angustifolia. I added some sweet almond oil to my detox bath experience too- it helps my normally dry skin stay soft after leaving the comfort of warm water. If you’re goal is really to sweat out toxins one trick I love doing is adding 1tbsp of ginger or cayenne pepper to the water. Since these herbs are known antioxidants, they make your body go in overtime sweat-mode to remove toxins even faster! A good bath detox requires only a few things- quiet and calm, a candle or two and a sweet glass of wine. To say I was chilling like a villain in that tub is nothing short of the truth. This Salty Apothecary detox soak was peaceful and relaxing. These guys know how to rock salty baths to all-natural levels! My Salty Apothecary review experience was a soaking glam fest I definitely plan on reliving. Their all-natural scents were the right choice to keep my mind calm and clear. I was soft everywhere coming out of the tub- I could feel the satisfaction in my skin. Bath soaks are now something I do on a weekly basis because I know it’s a quick fix to stabilize the salts in my body and clean me out in the process! Thank you Salty Apothecary for making this review possible, the care you put into your craft is nothing short of a gift. For more information & product by SaltyApothecary.co.uk – CLICK HERE!